The new Zakk Wylde ZV Custom merges two of our most famous guitar styles into one. With its double-cutaway "SG" top-half allowing for complete fingerboard access and a radical "Flying-V" bottom-half for extreme attitude, the ZV Custom has an aggressive look like no other. As with Zakk's signature Les Paul guitars, the Zakk Wylde ZV Custom’s body is carved from solid mahogany and fitted with a glued-in, hard maple neck with a 24 3/4” scale, a SlimTaper™ profile, and a 1.68” nut. The 12” radius rosewood fretboard has 22 medium jumbo frets with block pearloid inlays. 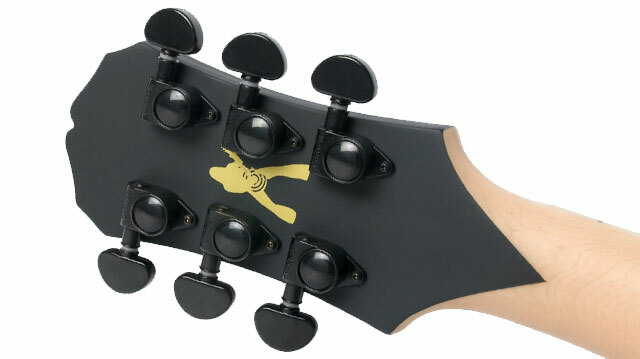 The combination provides for deep, rich tone with added brightness and sustain that only comes with a set-neck guitar. Zakk has always preferred a natural satin-finish neck and the ZV Custom is no exception. To compliment these tonewoods and provide the kind of high-output necessary for Zakk's style, the ZV Custom is equipped with a set of EMG-HZ humbuckers including an HZ-4 in the bridge position and a HZ-4A in the neck position. Controlling the two pickups are a Bridge Pickup Volume, a Neck Pickup Volume and a Master Tone with a 3-way pickup selector allowing for almost infinite tonal variations. Adding to the guitar’s already incredible sustain is Epiphone’s classic LockTone™ Tune-o-Matic bridge that "locks" the bridge on the posts and makes string changes a breeze while a string-thru body design ensures ultimate string-to-body vibrations. Throw in Grover® tuners and Epiphone's new StrapLocks™, and you’ve got a beast that stays on its leash, even under the most extreme stage situations. 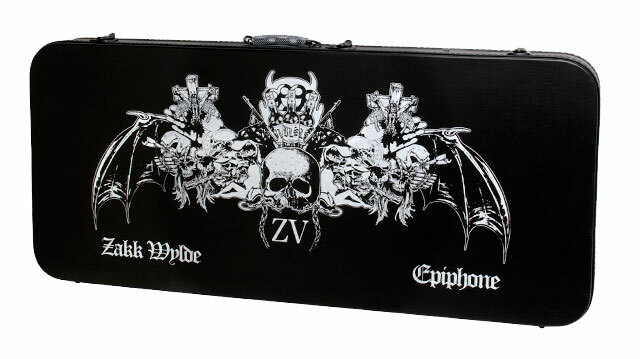 To add the final touch to this one-of-a-kind axe, we include a custom designed fitted hard case with ZV-inspired artwork and metal chain handle. 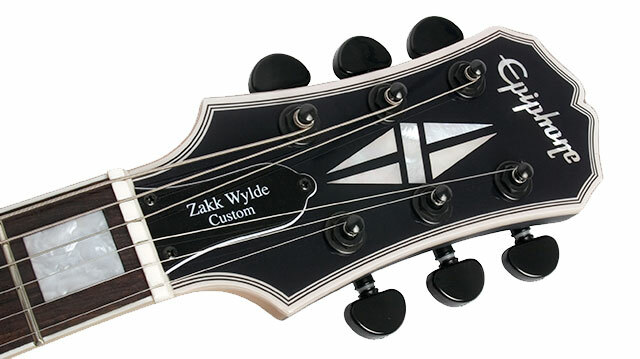 As with all Epiphones, the Zakk Wylde ZC custom comes with our Limited Lifetime Warranty and Gibson 24/7/365 customer service. Contact your authorized Epiphone Dealer and reach your inner Zack with our new Zakk Wylde ZV Custom.